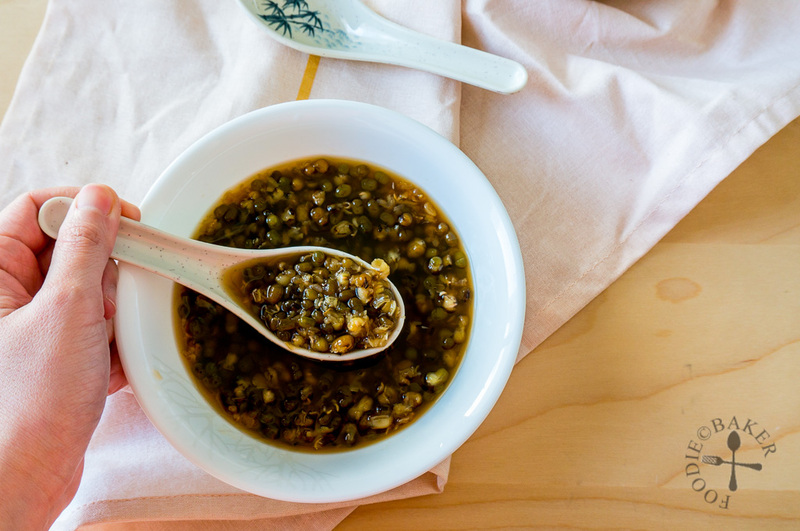 Green bean, or more commonly known as mung bean, is an important and popular ingredient in Asian cuisine in both sweet and asvoury applications. The beans can be cooked whole or split, ground into a paste or powder before they are mixed with other ingredients, have the starch extracted to make the transparent glass noodles (my absolute favourite in Thai salads) and even germinated to grow bean sprouts. Isn’t it amazing how one small bean can bring so much wonders? 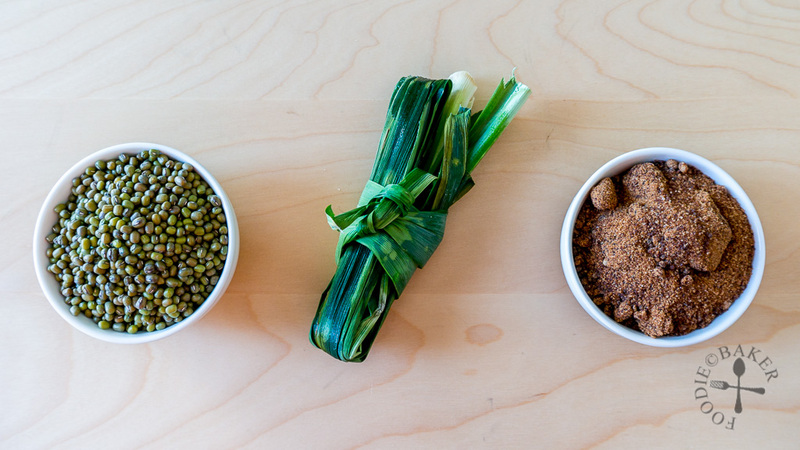 My mom makes her Green Bean Soup very simply with only three ingredients. Pandan is added for flavour but if you can’t get it it’s okay to omit them. Many people make their Green Bean Soup with caster sugar or rock sugar but my mom uses black sugar. This sugar is known as hei tang (黑糖) in Chinese, which literally means black sugar in English. It’s actually a type of dark brown sugar that probably contains more molasses than regular dark brown sugar – hence the really deep, dark colour. Apparently black sugar contains more nutrients and minerals, like iron and calcium, but I cannot be sure if it’s really healthier/more nutritional to eat this type of sugar. Black sugar is more molasses-y, which adds more flavour to the soup and that’s the type of Green Bean Soup that I’m used to eating. Black sugar is sold in blocks or in powder form like the one shown in the photo above, and should be available in Asian supermarkets. If you can’t get hold of any, dark brown sugar will work well too. 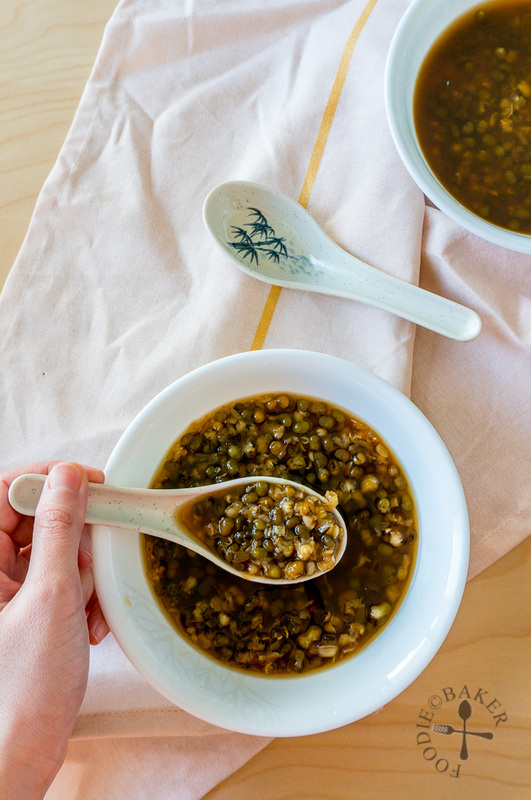 We usually eat Green Bean Soup during summer (or really hot days) to cool our body down, but I don’t see why I can’t have it on other days too – because it’s such a nice, delicious dessert. I love the soup warm on cold days and chilled on hot days – sometimes we even freeze the leftovers in popsicles moulds – they make excellent treats! Place green beans, water and pandan leaves in a pot (see Naggy Note). Cover and bring to a boil over high heat. Turn the heat down to low and simmer for 30 to 45 minutes until the beans are soft and start to break down. Remove from heat and stir in dark brown sugar to taste. 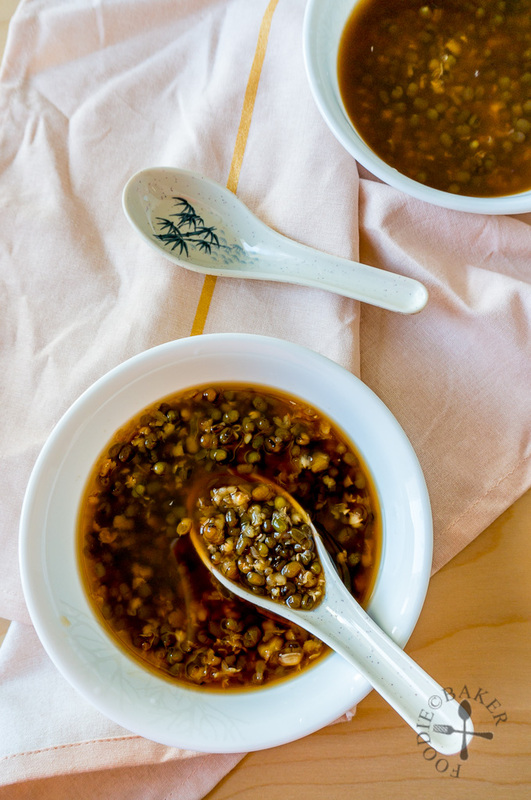 Serve hot, warm, at room temperature, or cold. 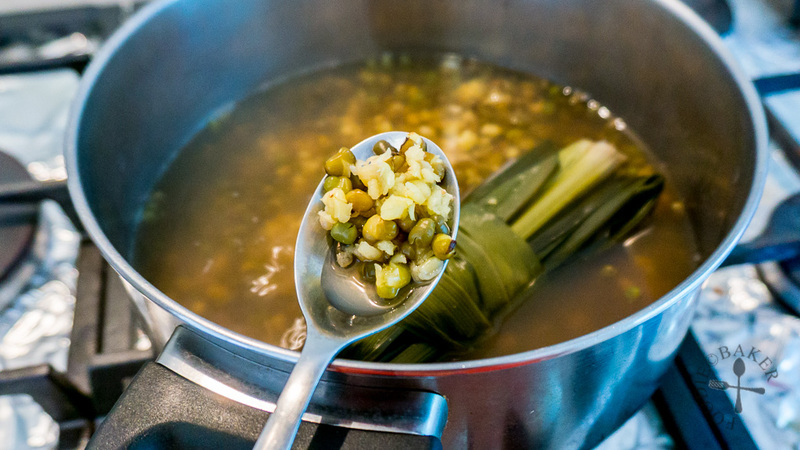 - The beans have a tendency to boil over, so try to use a larger pot - for me, I used a 2-litre pot to cook the green bean soup. If you don't have a larger pot, place a ceramic spoon in the pot together with the rest of the ingredients and cook together. Do still keep a close eye on the pot and leave the lid ajar if necessary while simmering so that the soup doesn't boil over. - Desserts taste less sweet when they are hot or cold, so depends on whether you are serving the soup hot, warm, room temperature or cold, the amount of sugar added will need to be adjusted. - Leftover soup can be frozen in popsicle moulds to make a tasty treat! 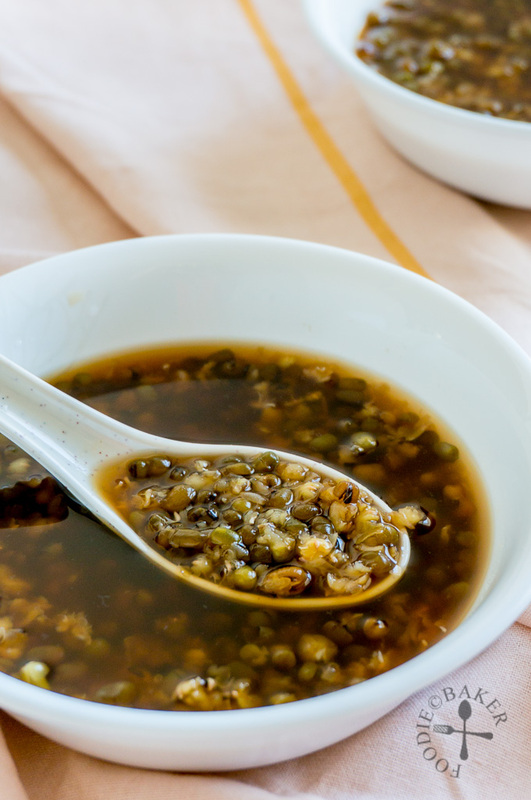 Interesting dish, In Philippines when its mung bean it will be savoury with garlic and pork. You got me googling for the dish Raymung! It looks so interesting! I found your post to be very interesting. I had never heard of pandan but after googling, I found its leaves are from a screw pine, a palm like plant, that I’ve seen growing in south Florida. Hi Karen! Yes I forgot that pandan is also called screwpine leaves – it’s not a common term we use in Asia so I totally forgot about it. Have you used pandan before?